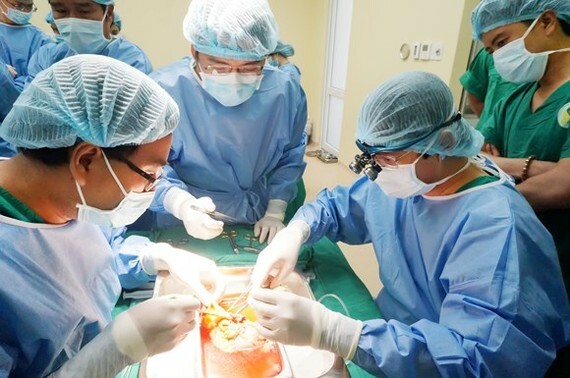 Surgeons of Xuyen A private hospital in Ho Chi Minh City have performed a successful liver transplant on a 36 -year-old man with the assistance of their peers from Cho Ray Hospital. 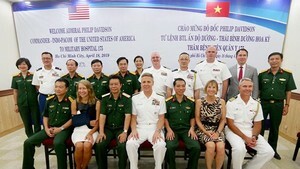 The recipient hailing from the southern province of Ba Ria- Vung Tau suffers kidney failure in the final stage. He underwent peritoneal dialysis - a treatment for kidney failure that uses the lining of your abdomen, or belly, to filter in October, 2017. The donor is his mother. Both recipient and donor underwent careful clinical tests before operation. Professor Thai Minh Sam, head of UTI Department of Cho Ray hospital was performing. After four hours, surgeons removed the mother’s life kidney to transplant. Both of them are in stable condition under doctors’ observation.